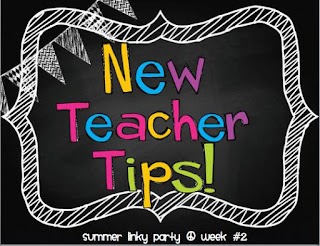 I am linking up with Caitlin from Kindergarten Smiles for New Teacher Tips! I am entering my 9th year of teaching and I still get nervous about the first day or even week of school. I feel like I starting over since I am moving from 5th grade to kindergarten! I am going to focus on upper grades since that is what I am used to. I taught 5th grade for 5 years and I feel like I had the beginning of the year down to a science! HA! Just kidding! However, I do have some tips! 1) Have a plan for supplies: Kids at this age are so excited about their new notebooks, dividers, glittery pencils, mustache shaped erasers, etc. As soon as they come in the door tell them what to do with their supplies or they will be everywhere! I have this posted on the SMART Board for them to read when they arrive. I liked to have table (groups of desk) supplies. I have each child put in their glue sticks, scissors, crayons, etc. in a box and then I divide them out after school. Now this can put some kids into a panic. They will not want to give up a special item that they bought. I tell them that if they have something special they want to keep then that is fine. 2) Give the students their schedule: Kids, just like adults, want to know what they are doing and when. I can’t blame them one bit! I type their schedule and have it on their desk when they come in. As soon as possible, go over it with them- especially if they switch classes. This can be the most stressful part to a child. 3) Introduce yourself: This seems like a no brainer, but even older kids can be scared or intimated by teachers. They want to know who you are and what to expect. I introduce myself to each class through a name card. I just take a large index card and fold it in half. I write my name and draw some pictures that tell about myself, my family, hobbies, etc. 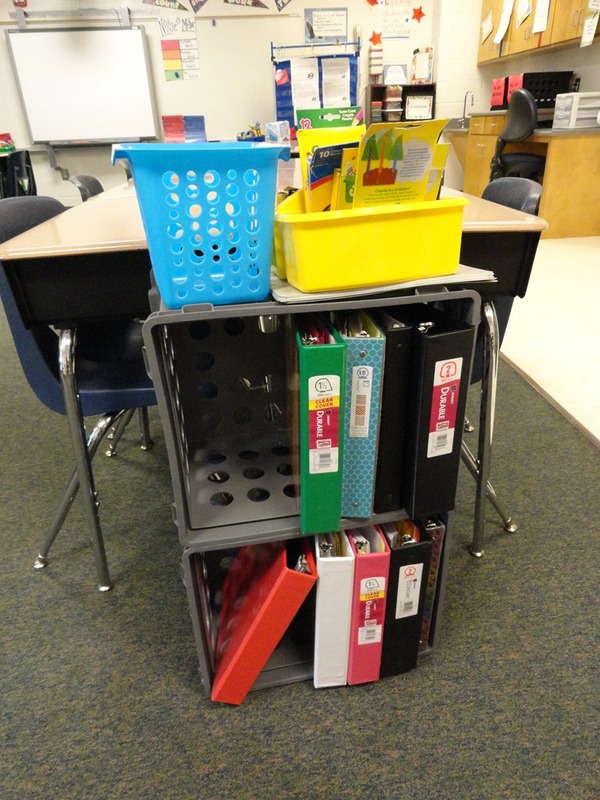 I also have each student make one and we go around the room. 4) Begin Teaching: In MY opinion, I think it is important to jump into the curriculum on at least the second day of school. Start slow, but start! I am not a teacher that does introduction games for the first week. I just think that is crazy! Start teaching and get your students into a routine. This of course is different for younger kids. They need more time for rules and procedures and I totally get that! Older students have been through that over and over. They need rules and expectations, but not a week of it! I hope this helps first year or even 10th year teachers! I can’t wait to read all the post for some help with kindergarten students!